The LG V35 ThinQ specifications have been leaked before the announcement of the G7 ThinQ, we are given a closer look at the flagship that will take on the iPhone X Plus, the Galaxy Note 9 and several others. While the internals are quite impressive on paper, the functionality and sufficient marketing are going to be necessary for the LG V35 ThinQ to become a game changer in the industry. It is apparent that a Snapdragon 845 is going to be part of the hardware specifications. However, what about the other things that are essential for a high-end flagship for 2018? Let us find out right now. 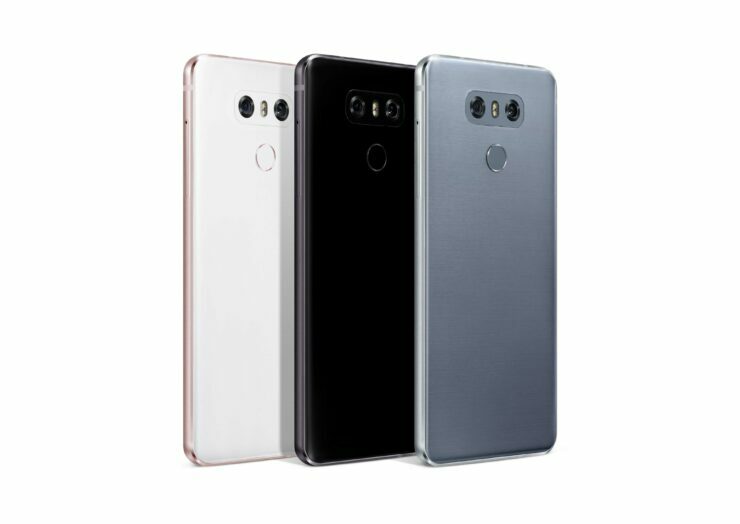 The LG V35 ThinQ will get the same premium design belonging to the LG V30. Though it features a 6-inch POLED screen with a resolution of 2,880 x 1,440 pixels, it will still be small enough to fit in your hand comfortably because the handset is expected to get an 80 percent screen. This means minimized bezels and more screen real estate for the user. At launch, the V35 ThinQ will be available in two color options, Black and Grey, with both options adopting the same ‘premium glossy finish’. The LG V35 ThinQ features a dual-camera setup. It is going to be more capable than the V30S ThinQ, but it will still have two 16MP rear cameras at the back. One of the rear cameras will feature an aperture of F/1.6 and 10-bit HDR compatibility. This will allow for greater color capturing. As far as the second rear camera goes, it too will have a resolution of 16 megapixels but it will be a wide-angle lens and a 107-degree field-of-view. To help with the imaging and video capabilities of the LG V35 ThinQ, the company has incorporated something called AI Cam. Apart from this, there is going to be a mode called Super Bright Mode and ‘superpixels’ that will ensure that captured images are brighter, which will certainly be something that we will be looking forward to under low-light conditions. The LG V35 ThinQ is not going to be complete without the presence of AI, and the upcoming handset will have its innards refined thanks to being a smarter device. By now you have figured out that the LG V35 ThinQ will be a smarter smartphone thanks to the inclusion of Al. The first presence of AI will be seen in the camera hardware, where it will be able to adjust the colors of the images in order to produce the most accurate of results for more detail and clarity. It is also possible that the smartphone comes with its own voice assistant in order to simplify the functionality of the handset. However, in order to make this possible, LG will need to work on it thoroughly. We’re taking the example of Bixby here and even after two years, it is nowhere near as comprehensive as Google Assistant. A 32-bit Hi-Fi Quad DAC is going to be present in the LG V35 ThinQ and will be called the ESS Sabre 9228. Along with additional customization options and digital filters to fine-tune the sound to be more in line with the user’s preferences, it will also possess the ability to hear owners from a far-away distance; up to seventeen feet, or 5.18 meters away. These are some impressive specifications of the LG V35 ThinQ, but pricing and other details have not been mentioned, unfortunately. Do you think this information is sufficient enough to warrant a purchase of the flagship? Tell us down in the comments.